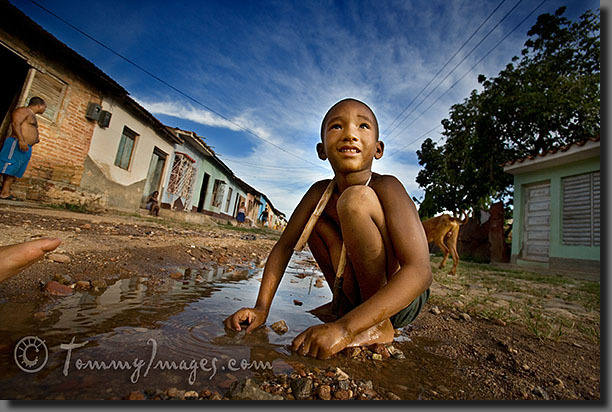 Trinidad, Cuba – A young Cuban boy plays in a puddle, on an unpaved road in the outskirts of Trinidad. While I contemplate what to do with my life every morning, she has no chill in getting her day started with tilling the soil. All I own so far has been given to me with and without my request but she has had to earn everything she owns. I let my life scroll by in anticipation of the future while she writes a chapter with every day of her life. If I am ever not grateful, then I am definitely a great fool. Take time out to observe certain people in your environment. Appreciate the privilege to live the life you are living. Life is too short not to make the most out of it…. Hope it was a good read? Kindly leave a comment.